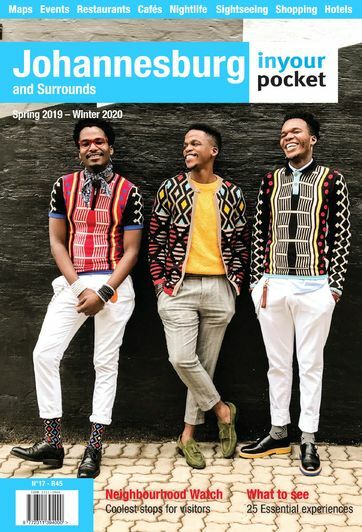 Just off the banks of the Hartbeespoort Dam (about an hour's drive north of Johannesburg) is Hartiwood Films, a local film company who offer 'a one stop production company' with their own sets, wardrobe company and a post production studio. Hartiwood has two permanent film sets, both of which are open to visitors. 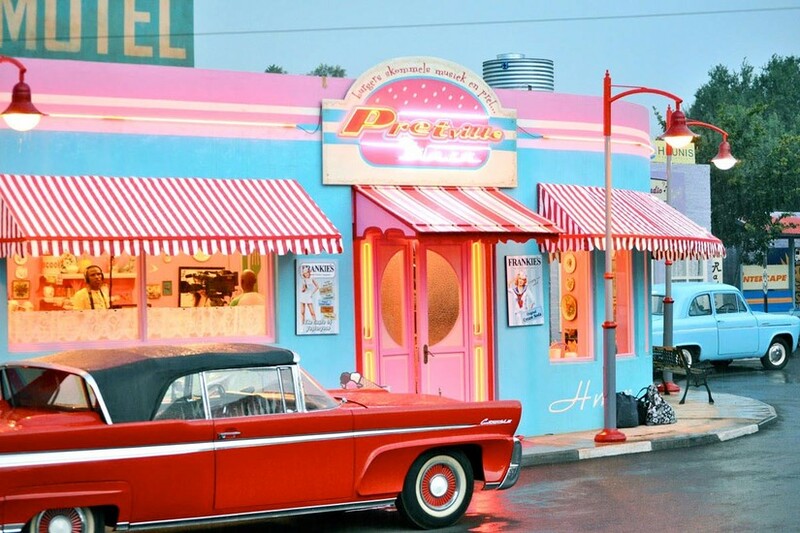 Pretville is a recreation of a 1950s small town high street where you can dress up in 1950s clothing and get your photo taken with classic cars, stop at the diner for a milkshake or catch a movie at the 'bioscope'. 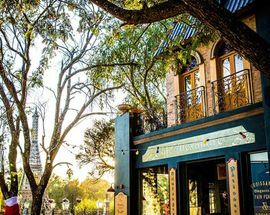 Meanwhile the newer set French Toast Cafe, which was used for the romantic comedy French Toast, has been designed to resemble a Parisian street, complete with a working cafe modelled on a cafe in Paris's Monmatre district and a 14.5 metre tall replica of the Eiffel Tower. 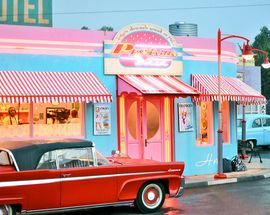 French Toast Cafe is open daily from 07:30-17:00. 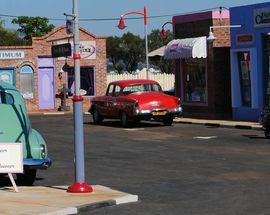 Pretville is open Sat, Sun and public holidays 08:00-16:30. 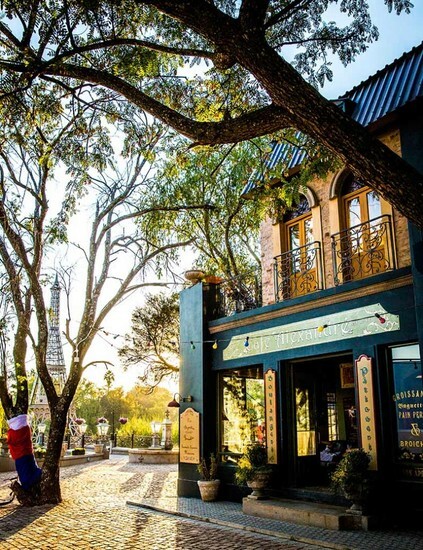 Entrance to Pretville costs R60, children R30 (aged 2-12), pensioners R30. Entrance to French Toast Cafe is free.